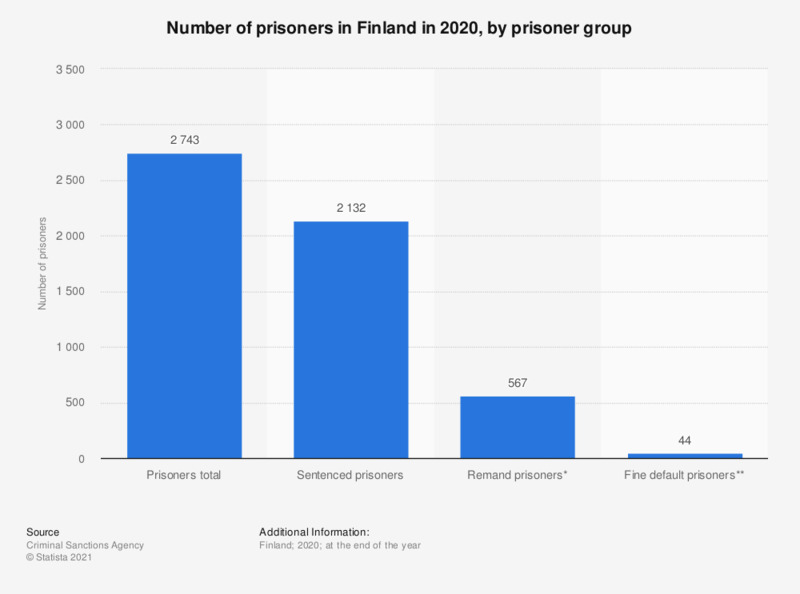 This statistic shows the number of prisoners at the beginning of the year 2017 in Finland, broken down by type of prisoner. During the period under survey, the number of prisoners was roughly 3,130, of whom approximately 80 were fine default prisoners. * Remand prisoners are persons in pre-trial detention. ** Default prisoners are persons serving sentences for unpaid fines.